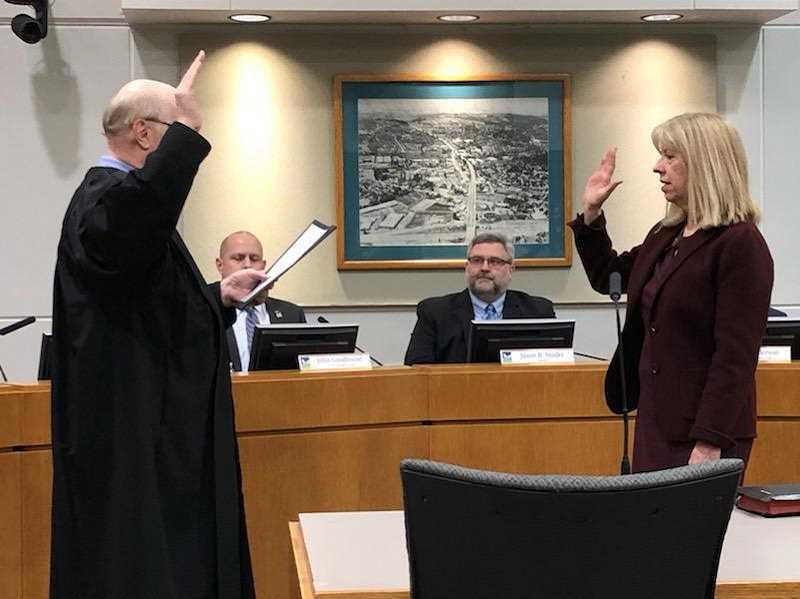 The new Tigard mayor and two council members were officially sworn in Tuesday night at Tigard City Hall. 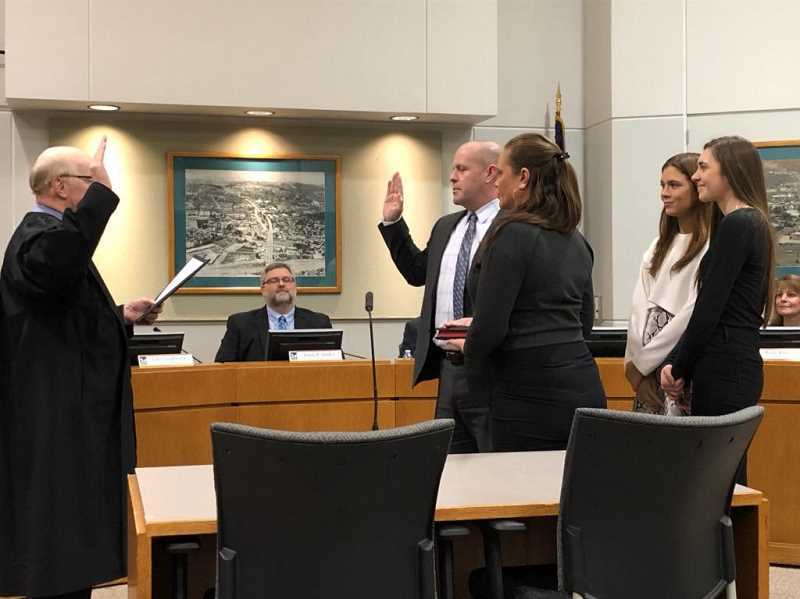 New Tigard Mayor Jason Snider, along with Councilors John Goodhouse and Liz Newton, were officially sworn in Tuesday evening at Tigard City Hall. A reception preceded the event. 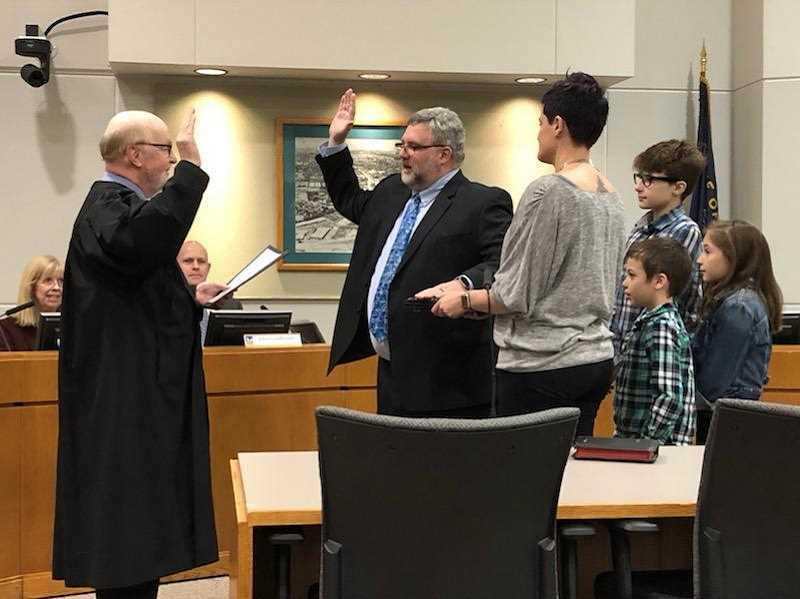 Following the event, Goodhouse was voted as council president for the new year. Meanwhile, the council selected three candidates, one of whom will be appointed to Snider's unexpired term as a Tigard City Council member, to return next week for final interviews. Heidi Lueb, Jason Rogers and Brian Wolf were selected from a list of 10 total applicants. The trio will appear next Tuesday night at 6:30 p.m. for 45-minute interviews by the council. A final decision on who to appoint could be made at that meeting or at a later date.